The strings of lights draped from the tree branches were the perfect lighting for Rachel and Chris’s outdoor wedding in Northport. Great music played while conversations, dinner and the whole celebration carried on into the night under the glow of strings of lights and candles. Rachel and Chris had always envisioned a wedding small enough where they could talk to and enjoy everyone. The romantic glow of the string lights kept this wedding feeling intimate and allowed the celebration to last long after the sun had set. Click HERE for the full gallery and read Monday’s Real Wedding feature on their special day HERE. 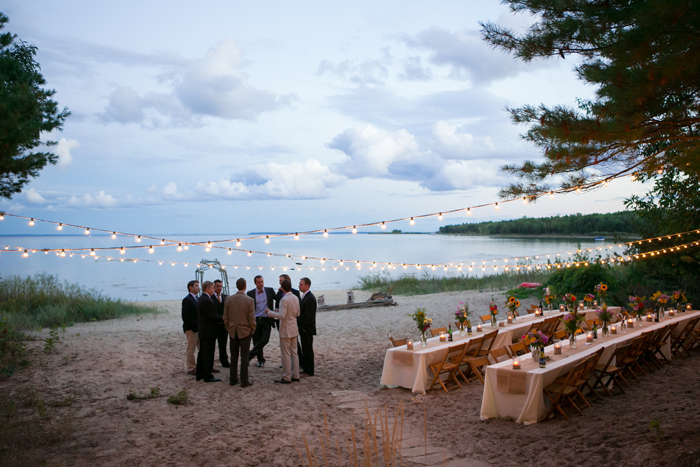 The bride described her wedding as the quintessential simple Northern Michigan outdoor garden wedding. Many of the out of town guests were exploring Northern Michigan for the first time and rented homes for the week. They wanted the wedding to be a nice finale for the guests and Stafford’s Perry Hotel in downtown Petoskey was perfect! It’s a favorite destination for weddings in the Northern Michigan area especially for couples that are hoping to have a wedding with a garden party atmosphere. The Rose Garden at the Perry is ideal and overlooks Little Traverse Bay. The wedding coordinating team at the Perry is wonderful too and does a phenomenal job helping to plan every last detail. Click HERE for the full gallery and read Monday’s Real Wedding feature on their big day HERE. Make sure to return on Monday for another Northern Michigan Real Wedding! Angie and Chris returned to Angie's hometown of Petoskey for their wedding and all of the festivities that surrounded the big day. Both were super excited to share the beauty of Northern Michigan with many of their guests that would be traveling here from out of town. The Rose Garden at Stafford's Perry Hotel was the perfect place to host their outdoor wedding and share local favorites like white fish, cherries, Fustini's oil, and Kilwins chocolates. Once again the sunset on the Little Traverse Bay was spectacular! Be sure to check back on Wednesday and Friday for more Stafford's Perry Hotel wedding details from this event, and click HERE to see the full gallery. 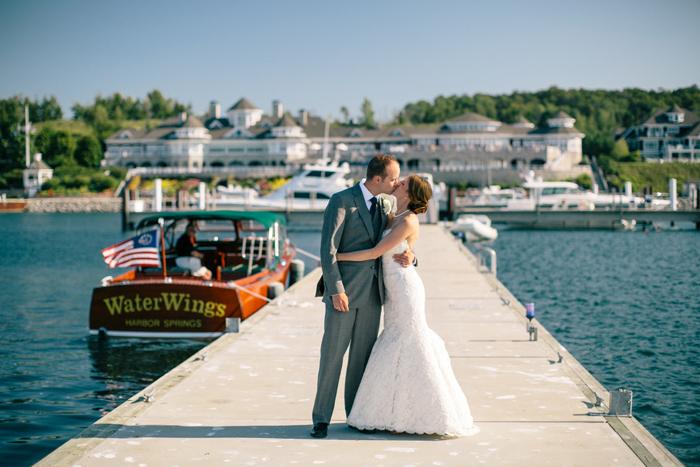 Hannah and Joey both agree that there really is nothing like Northern Michigan and both love the area so the Bay Harbor Yacht Club was a perfect venue for their destination wedding. 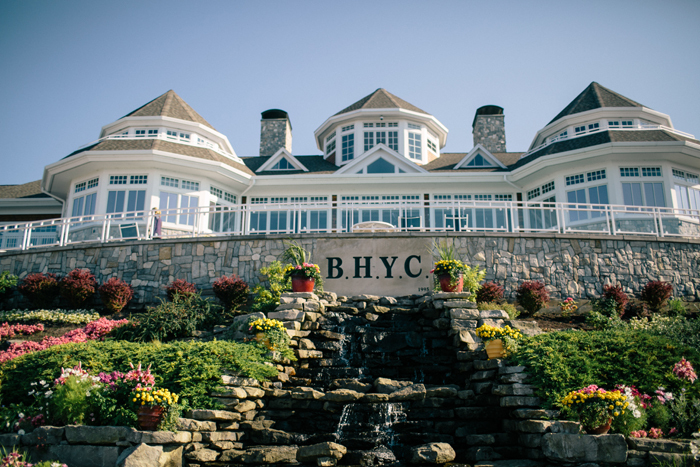 For couples that are hoping to have a wedding with a stunning view and a classy feel, the Bay Harbor Yacht Club is ideal. The wedding coordinating team at the yacht club is wonderful and does an outstanding job helping to plan an unforgettable event. Click HERE for the full gallery and read Monday’s Real Wedding feature on the big day HERE. 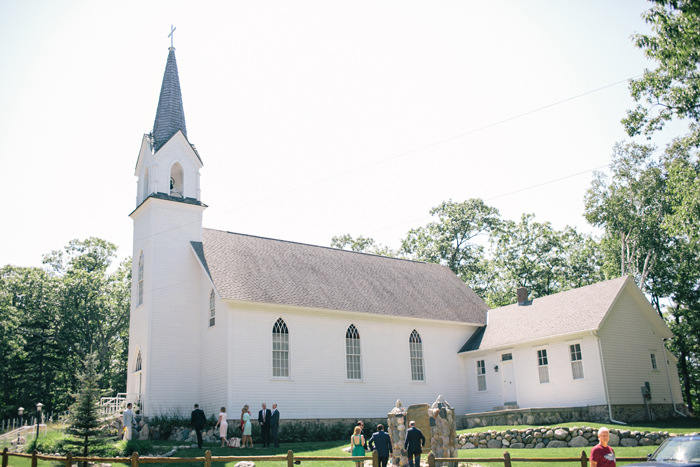 Don't forget to return on Monday for the next Northern Michigan Real Wedding! 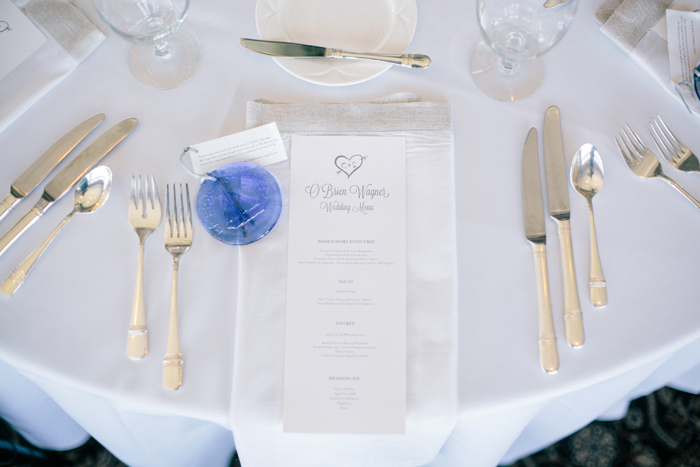 Catherine and Scott chose to have their wedding in Northern Michigan because of its casual elegance, and found that the Bay Harbor Yacht Club was the perfect venue for them to create a memorable experience for their guests. 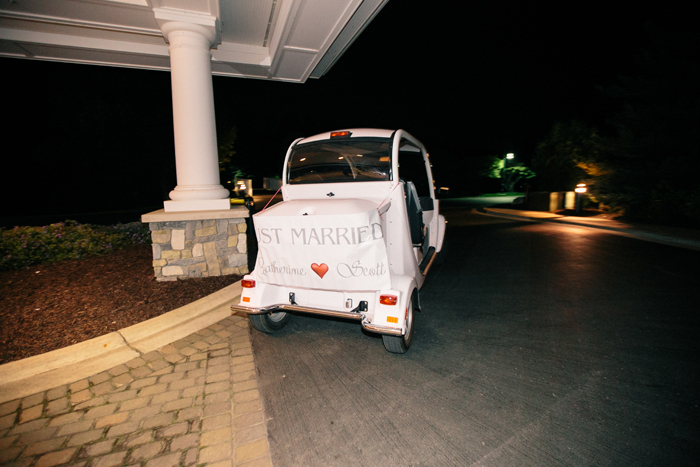 After the St. Ignatius ceremony in Good Hart, guests drove from the small church through the famous Tunnel of Trees to get to the yacht club reception. Meanwhile the newlyweds and their wedding party headed for the water and were delivered to the yacht club on a family friend’s classic wooden boat. 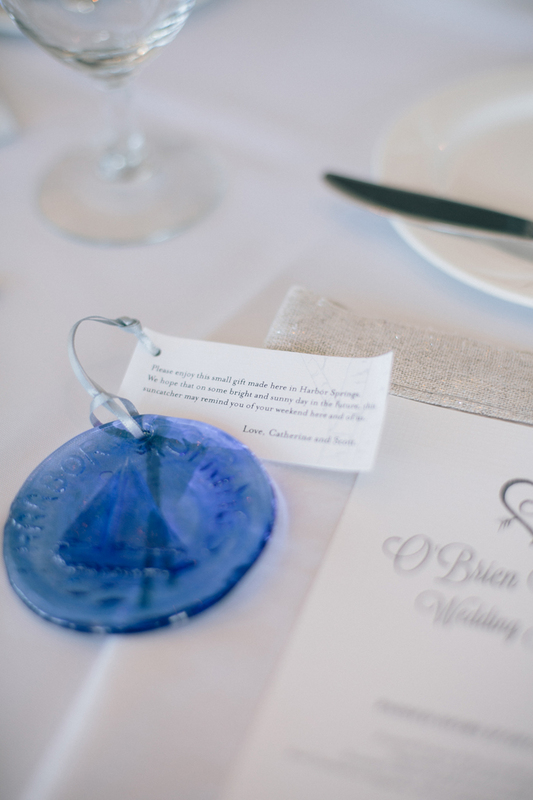 Catherine’s father worked with Boyer Glass works to create blue sun catchers as thank you gifts for all of the guests. It was a local touch and reminder of the wedding for them to take home. 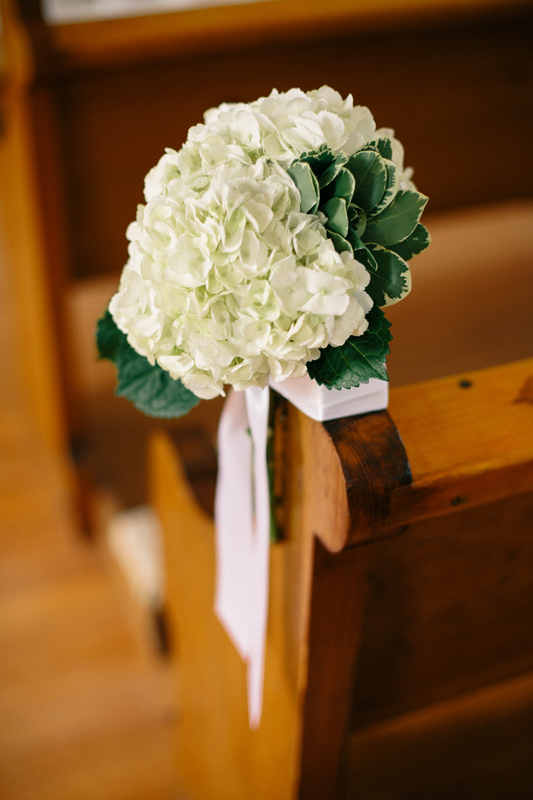 N|M Events did an amazing job coordinating the event, and BLOOM provided beautiful flowers. We've asked for and received some great advice from Megan Nickerson, Sales Manager of the Bay Harbor Village Hotel & Conference Center. She filled us in on the importance of booking rooms early and what steps to take when booking those rooms. What are some of the main questions/concerns you get from Brides? What advice do you give them? Working for a 90-unit destination resort, where the majority of our weddings are destination, one of the main concerns I hear from Brides is they are afraid their guests will not find lodging in the area or if there will be enough. This is a valid concern. Depending on the time of year and the location of the event, lodging options could be limited. Area events, other weddings and group functions, as well as transient guests, could all play a factor in the number of hotel rooms available to wedding guests. I encourage them to set up a block through our hotel (most guests prefer to stay on property or as close as possible to limit the amount of driving) and recommend other area hotels to secure blocks as soon as possible, should they have many out of town guests. I also encourage them to keep their guests updated with options and contact information when they are ready to book. It should be seamless and easy for all parties involved. Some wedding guests will want to book up to one year in advance to ensure they will have lodging in their preferred hotel. What is the importance of booking hotel rooms early? Securing your hotel rooms early is extremely important; the earlier the better! Especially if you're planning your event in northern Michigan during the summer season when we have the most visitors to our area. Not only are your wedding guests competing with other visitors to the area, they are also competing with other wedding groups. 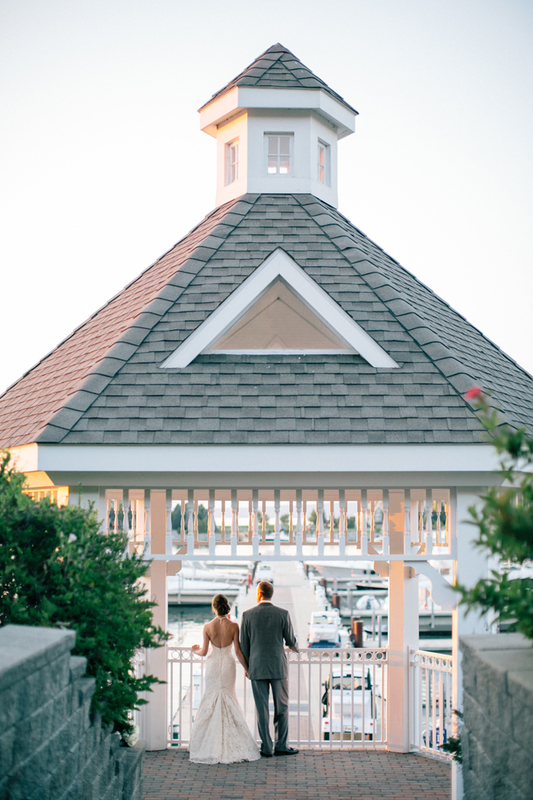 Along with many other area wedding locations, the Bay Harbor Village Hotel has the ability to have multiple weddings a day. With the majority of our weddings being a destination and with guests traveling from all over, almost every guest will be searching for accommodations. Regardless of the time of year or wedding location, reserve your blocks as early as you are able and give your guests plenty of notice to reserve by posting lodging options on your wedding website, Save the Dates, invitations, etc. giving them time to research and plan. What steps do you need to take when booking / blocking rooms off for guests? After you set a date and location, speak with that property’s Sales Manager or Event Coordinator for suggestions on area hotels. They will have ideas for the the most convenient and accommodating options. 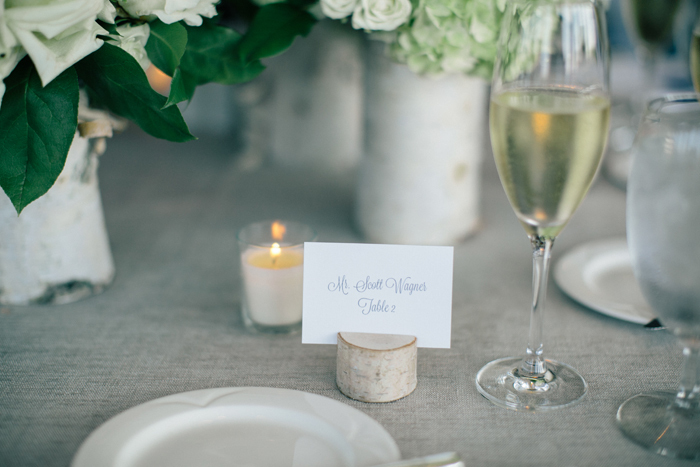 What's the best advice you have for brides and grooms that are working on hotel accommodations for their guests? - Do not try to guess what rooming types that guests will opt to reserve. This only leads to feeling stressed and should the hotel have a strict attrition policy, may leave you with a hefty bill should the rooms remain unreserved. If possible, block a small variety of styles giving guests with families of differing sizes and budgets options that best fit their needs. There is also nothing wrong with holding a block of standard-style rooms to start. Guests always have the freedom to upgrade if they so choose. - Give your guests a variety of lodging options. If your wedding is hosted at a resort, be sure to secure a block at that property, but also list 1 or 2 other nearby hotels in the event the original block sells out. Wedding guests are usually savvy travelers and will often research the area to find the hotel that best suits their needs and budgets, but giving them options to begin their search can only help if they are unfamiliar with the area. - Encourage guests to book as soon as they are able to avoid hotels selling out. - If you do have to book hotels located farther than walking distance, consider hiring a shuttle of some sort for the evening of your party if the hotel does not offer this service. This way guests do not have to worry about driving after celebrating at the reception. Although it might not be as fun to plan as the ceremony and party, this information helps so much in making THE BIG DAY possible! Thank you Megan for your expertise in this area! Many weddings in Northern Michigan are destination weddings, with guests traveling from near and far to celebrate the big day with you. For those of you planning for guests new to the area, this interview with Angie Whitener of Stafford's Hospitality in Petoskey and Bay View will help you welcome them! Angie has over a decade of experience advising couples who are welcoming their friends and family members to Northern Michigan so we asked her for some of her best advice. Stafford's is excellent at hospitality! What advice do you give couples who are welcoming friends and family that are traveling from out of town? The more information the better and provide it to them early! I always recommend sending out a Save the Date notice to guests well in advance (6-9 mos of the wedding date), there are so many cute and fun ways to do this from postcards to magnets to passports, it is amazing how creative you can be. You’ll want to include information in regards to the wedding location and climate, travel accommodations – hotel blocks (rates and cut-off dates), condo rentals, air travel, rental car information, etc… It is also a good idea to create a wedding website where you can host all of the pertinent information your guests need to know when making plans to attend your big day (or weekend). Have the website created prior to sending out the save dates and include the web address on the Save the Date – I’m sure that pretty soon we’ll start to see those little QR Codes for Mobile Wedding Websites, that would be a fun addition! Do you advise couples on possible welcome gifts? 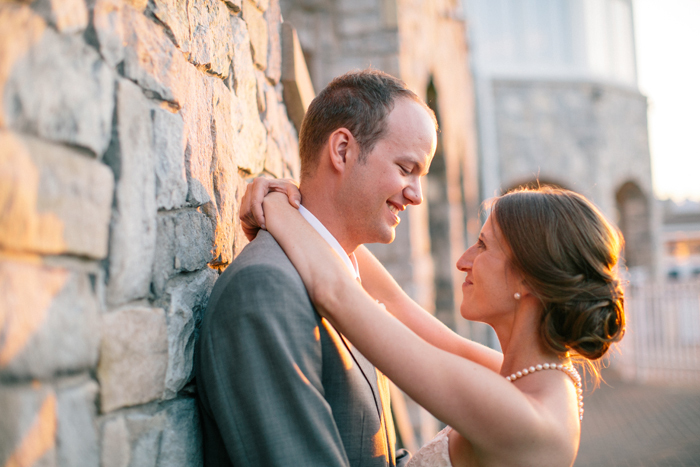 Guests who have traveled a long way to get to your wedding destination deserve a warm welcome! Creating a goodie basket or bag for them is a great idea and a nice thank you; typically these are delivered by the hotel bell staff directly to your guests’ lodging room – waiting for them when they check in. The best welcome gifts that I have seen are the ones that are themed to the area – here in Michigan and Northern Michigan specifically we have so many wonderful locally made goodies that you can welcome your guests with. Savory or sweet snacks, wine or beer, bottled water, maybe even some essentials they may need throughout the weekend – mints, antacids, headache relief, etc… It is also helpful to include a list of fun things to do in the area, an itinerary and directions for your wedding weekend of events and of course a nice thank you note signed by the bride and groom is the finishing touch! What about maps to the area? I think that it is helpful to provide a map of how to get from the ceremony location to the reception site and maybe driving directions to the location from a few points of where most of your guests will be traveling from by car. Honestly most people have a GPS now either in their car or on their phone so the most important thing to do is have the Correct addresses provided for each of the locations your guests will need to travel to. Double check directly with someone on staff at the hotel, restaurant, church, ceremony site, etc.. for the proper address, don’t trust what comes up on your “google search”! What are the most important things to keep in mind (big or small) when attempting to pull off a seamless event? Hiring the right team is essential – professional wedding vendors, event planners, selecting a reception and ceremony site that provides full service amenities in terms of catering, rentals and coordination – will ease the stress that all weddings seem to create! It is also important to keep in mind what getting married is all about – sure you become involved in creating this entire wedding weekend worthy of it’s own reality TV show feature, but don’t let all of that distract you from the joy of starting a life together with the partner of your dreams – that is what getting married is all about. It is supposed to be blissful, memorable and happy. Leave the stress of planning up to the professionals and your event will be seamless! I also find it very helpful to have a final meeting face to face or via conference call with all of your vendors – this is that last contact before the big day to make sure that everyone is on the same page and up to date with details. Over the course of a year, plans change – sometimes A LOT – and you want to make sure that you’ve communicated your final “image” of the day to everyone involved. That way you can go into the weekend feeling calm and excited for the happiest day of your life! Thank you for your insight Angie! I'm sure every person planning a wedding will benefit from these awesome pointers!